It was said they were like brothers. The two close friends would go on to write their names in bold letters and from opposite sides of the line of scrimmage in the annals of UW-Eau Claire football. 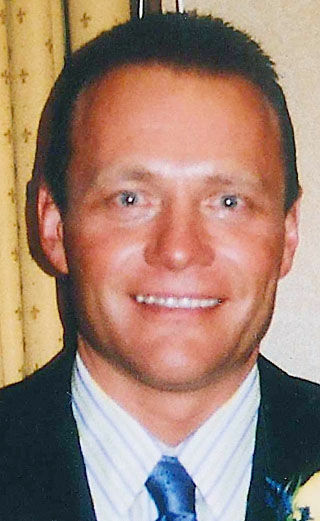 Cary Osborn, 49, died well before his time on Sunday. Golden could not say enough about Osborn. Osborn came to Eau Claire from Augusta in 1987 and helped make the Blugolds a championship contender the next four years as a running back. He broke in as a freshman and went on to rush for 3,262 career yards, which nearly three decades later still ranks fifth on the all-time list. He also ranks second in touchdowns with 48. “For his size, it was unbelievable how good he was,” said Geno Golden, Tim’s uncle and an assistant coach at the time. “He wasn’t that big, but he was fast and quick and tougher than heck. Tim Golden, who was team MVP as a defensive nose tackle in 1989, said it took opponents a while to find out how good Osborn was. Osborn was second team all-conference as a sophomore and first team as a junior and senior and was the Blugold captain and MVP as a senior. He played in 20 Blugold wins. The talent was inherited and also came from a disciplined training program. Osborn and Tim stayed for a time at Geno Golden’s home lifting weights and working out together. Cary was the son of Jim and Lynda Osborn. Jim was an outstanding passer at Augusta and later Superior State, where he was good enough to attract the attention of the pros. At Augusta, Cary made quite a name for himself. He is one of the few athletes in Northwest Wisconsin history to make the All-Northwest first team as a basketball and football player. Listed at 5-9 in 1987, Osborn scored 630 points as a basketball senior and ranks as one of only a handful of players to average 30 points a game in one season to this day. He had a high game of 42 and totaled 1,385 career points. That was coming off a Beavers’ 8-3 football season that saw him rush for 1,678 yards and score 149 points with the help of his outstanding ability as a placekicker. He scored 297 points in his last two years. But he pushed his accomplishments as an athlete aside in recent years as a proud and dedicated spectator at Regis football, basketball and baseball games in which sons Cody and Cade followed in his footsteps as standout athletes. But he was crushed when Cody, a senior, suffered a broken leg in the first game and missed the entire 2016 football season. It was no secret that Cary, who was involved with well-known people in successful developments and investments, struggled in recent years. “He did everything full speed; he never slowed down,” Tim Golden said. “He didn’t know how to relax. That may have caused some issues for him. Osborn will be remembered for much more than being an athlete. “He had that perpetual smile on his face and was a guy everybody wanted to be around,” said Tim Golden. As long as they've had Aaron Rodgers at the helm, the Green Bay Packers have largely used the top of the draft for help on defense.